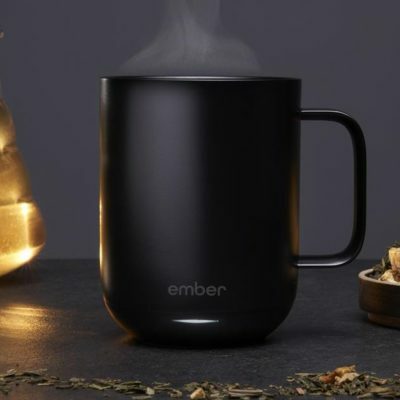 Tech Trends brings you a real mix of techy toys and gadgets just in time for Black Friday 2018! 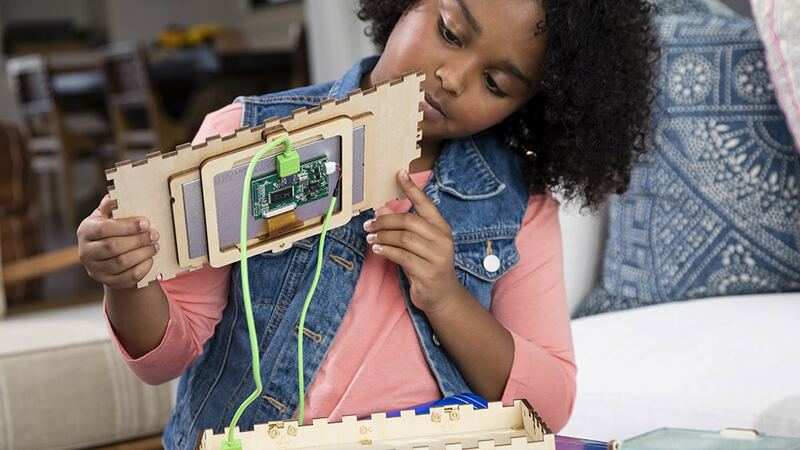 Littlebits makes all manner of modular STEM kits and solutions for teachers and parents but this one is possibly the coolest educational toy ever! 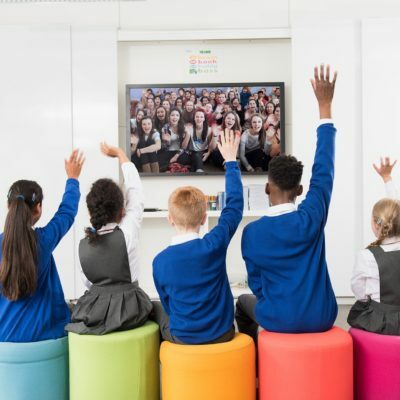 It includes some Lego-like construction, a bit of electronics and some easy-access coding so kids can modify and personalise their super hero glove as they wish. Including the ability to control the colour and strobing of lights, a movement and speed sensor plus an awesome stealth mode ability – I won’t spoil that one for you. 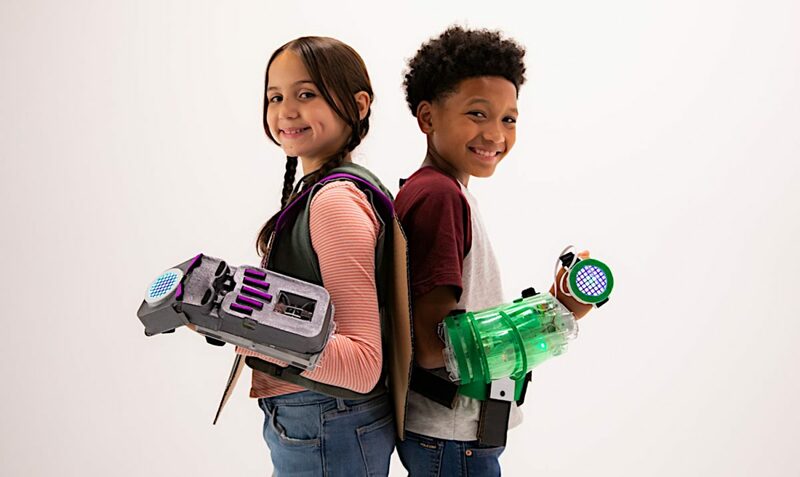 Littlebits draws kids into playing with and learning basic STEM while playing at being their favourite Marvel superhero. I can’t recommend this enough and only wish my hands were smaller! You can pick one up for only $105 here thanks to Littlebits’ 30% off Black Friday deals. 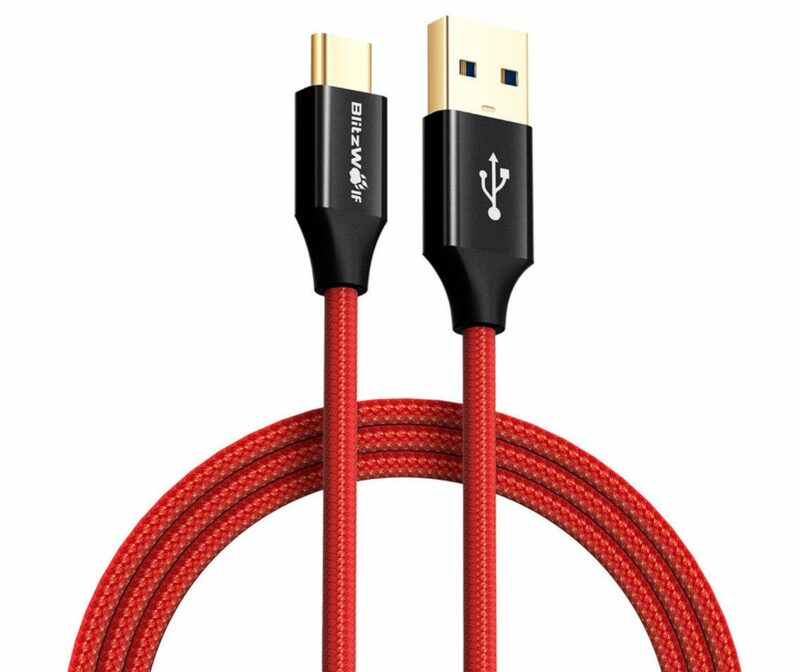 These are really lovely cables. 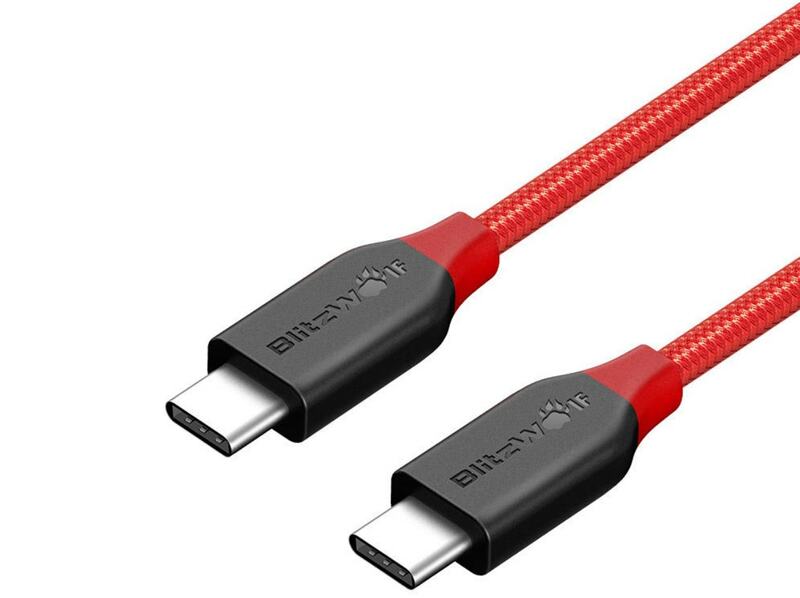 Braided cables have long been my favourite but they can often be a bit thicker than is useful, however, these AmpCore cables from BlitzWolf are pleasingly thin and very well made. Each cable rolls up small and the Gold-plated heads are really slim so should fit in USB sockets hidden in the narrowest crooks and crannies. Under testing, they stood up to their quoted speeds and quickly charged several phones. As you can see in the video below they are also stronger than the Hulk, just in case you need that. 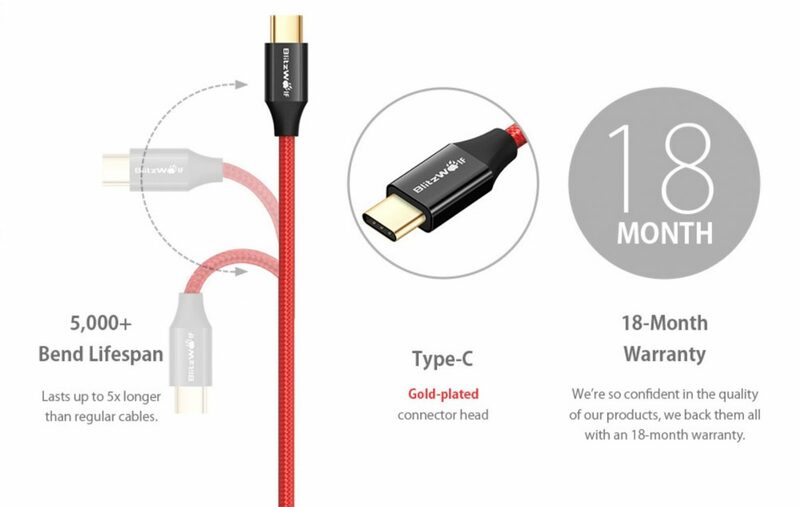 More info on each cable below. 56kΩ Standard Resistor is included to ensure that your device will not drain extra power out of the power source, which may lead to over-heating and serious issues. Supports 3.6-12V fast charging at up to 3A current, compatible with Qualcomm QC2.0, QC3.0, MTK Pump Express Plus and other fast charging technology. Data transfer speeds of up to 480MBps and also supports charging during data transfer. Compatible with most Type-C port digital devices such as smartphones, tablets, MP3 players, PDAs, digital cameras/camcorders, hard drives, e-readers, power banks and portable game players. 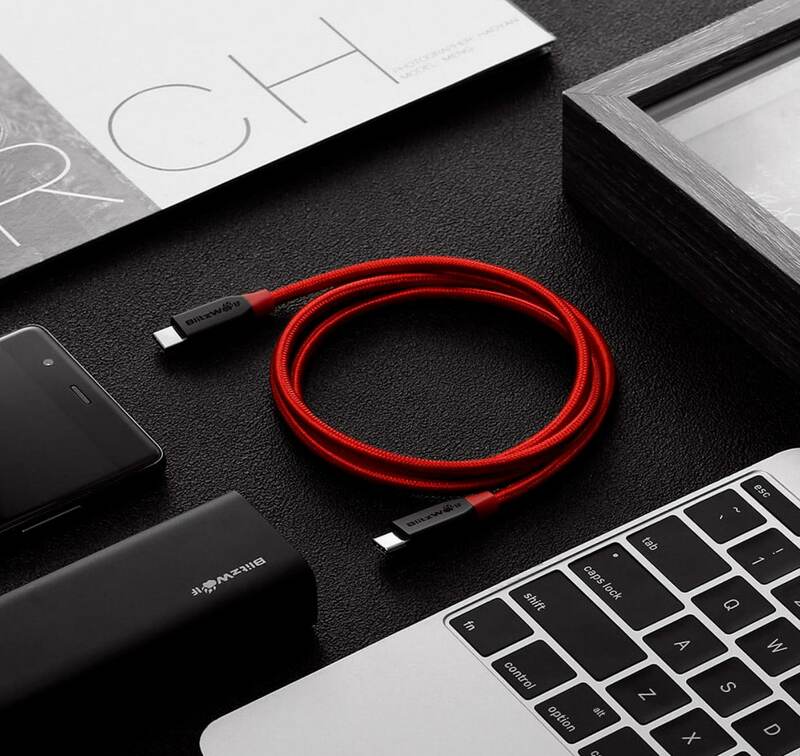 Fast USB 3.0 Type C: data transfer speeds of up to 5Gbps, more than 10 times faster than USB 2.0. cables. Internal Resistor: Type C cables without an internal resistor can overheat or damage your device. Ampcore Type C cables have a built-in 56kΩ resistor that provides smooth and safe charging. Supports 3.6-12V fast charging at up to 3A, and is compatible with Qualcomm QC2.0, QC3.0, MTK Pump Express Plus and most other fast charging technologies. Compatible with most Type-C digital devices such as smart phones, tablets, MP3 players, digital cameras, camcorders, hard drives, e-readers, power banks and portable game players. -Gold-plated reversible connector heads won’t corrode over time and provide unrivalled long-term conductivity. We have been looking at wellness products here at Tech Trends and seeing innovation everywhere in this booming market. In September we tried out Soylent Meal Replacements and this month it’s the turn of Naked Nutrition. From Grass-Fed Whey Protein to Pea Protein Powder to Organic Brown Rice Protein Powder, Naked Nutrition provides the “purest supplements”. They claim their powders are loaded with essential amino acids and no artificial sweeteners or colours and commit to offering the best protein powders and supplements including Powdered Peanut Butter, Casein Protein, Creatine Monohydrate and many more. We tested out their Collagen Peptides Powder, the Powdered Peanut Butter and the mindboggling Branched Chain Amino Acids, WTF? Well, this last one claims “the highest pharmaceutical grade, fastest dissolving, and rapidly absorbed Branch Chain Amino Acids available”. OK, so that does what? Naken Nutrition says studies have shown that BCAA supplementation improves strength and muscle development, speeds recovery, and increases endurance for men and women at all fitness levels. I am afraid all I can say is that it tasted OK but as a slothful couch potato I can’t speak to its powers of recovery or muscle boosting powers. I might be the wrong person to review these…? Anyway the Powdered Peanut Butter next! Naked PB is a vegan peanut butter protein powder made exclusively from peanuts grown on US farms. Our powdered peanut butter is made from slow-roasted, non-GMO peanuts that are mechanically pressed to remove fat and oil. The result is a peanut butter powder that is over 40% protein. Gain the nutritional benefits of powdered peanut butter and enjoy its flavor by using it in recipes from cakes and muffins to smoothies. Naked Nutrition is committed to shortening the steps between our farms and you. If you love peanuts and crave protein then this is for you, but not me. Now, this next one I can relate to. Collagen is the most abundant protein in your body and a major component of connective tissues in tendons, ligaments and having a long-term knee injury I can recommend others with joint problems regularly consume collagen and this supplement is as good a way as any to do that. Consuming collagen provides health benefits including joint health, youthful skin, healthy hair, protecting cartilage and bones, and workout recovery. Our hydrolyzed collagen powder is sourced from European cows that are pasture raised. Highly soluble and tasteless, use our grass fed collagen peptide powder in hot beverages such as your morning coffee, cold sports drinks, tea before sleep or as an unflavored protein base in pre and post-workout smoothies. Now, this tub will stay on my counter and I’ll keep myself topped up to ease pain and stiffness in my knee. I have taken Glucosamine for a few years and this should provide similar benefits without struggling to swallow the enormous horse pills I used to take. 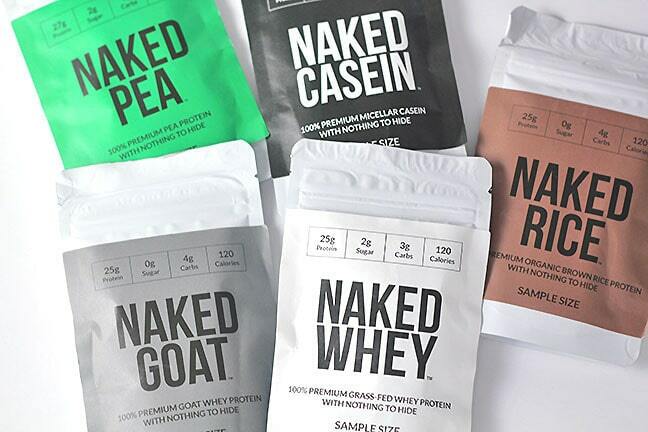 Check out Naked Nutrition here and sample some of their range of 21st-century health supplements. 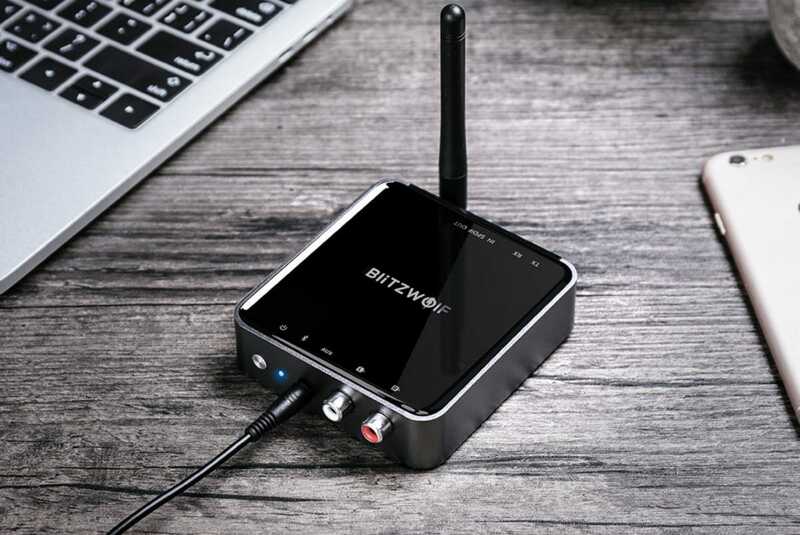 I have tested one-way Bluetooth transmitters and receivers but not a two-way device and this BW-BR4 from BlitzWolf is one nifty little gadget for anyone who loves music and fiddling with tech. That’s all of you I hope! Set up is super simple if you have a basic need to transmit both ways between two devices but I took it a bit far and made a mess. However, the BW-BR4 performed exactly as it should and the Bluetooth 5.0 sound quality was excellent. I wanted to stream music from my phone to my amplifier in receive mode and transmit the audio from my Playstation 4 to my Skullcandy Bluetooth headphones using the transmit mode. That means I was using the BW-BR4 as a hub between four devices! Long story short, the hub worked fine but I got in a terrible pickle when managing the four connected devices. Duuuuh! I kept switching on the wrong device at the wrong time and then getting confused when pairing the phone or the headphones in the right order. I got it to work after much shouting but decided the hub was smarter than my brain so abandoned that crazy config. It has the ports for this, though, and I think most audiophiles will be happy with the connectivity on hand here. 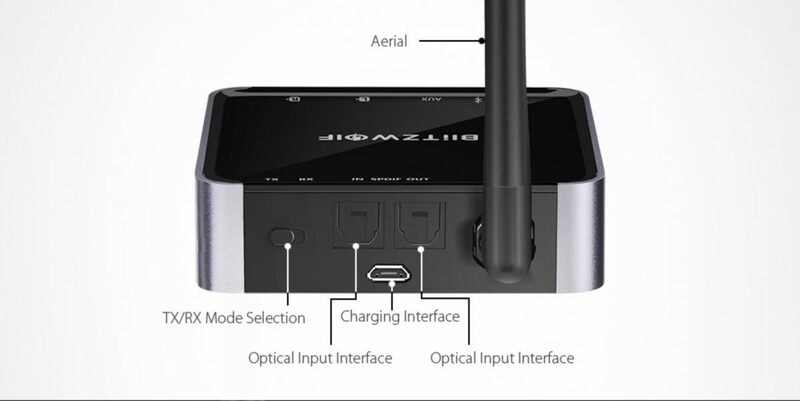 Transmitter mode: Turn your TV/Computer/Laptop into a Bluetooth-enabled device. You can listen to the audio from your Bluetooth headset and watch a movie or play a game without interfering with anyone. Receiver mode: Connect the BR4 to your home speaker system/car stereo/headphones and turn it into a Bluetooth audio device. You can then connect your smartphone or other Bluetooth device and play music wirelessly. CSR BC8675 Bluetooth Chip. The CSR BC8675 chip gives you Bluetooth V5.0 and optical audio output for a truly universal wireless solution. 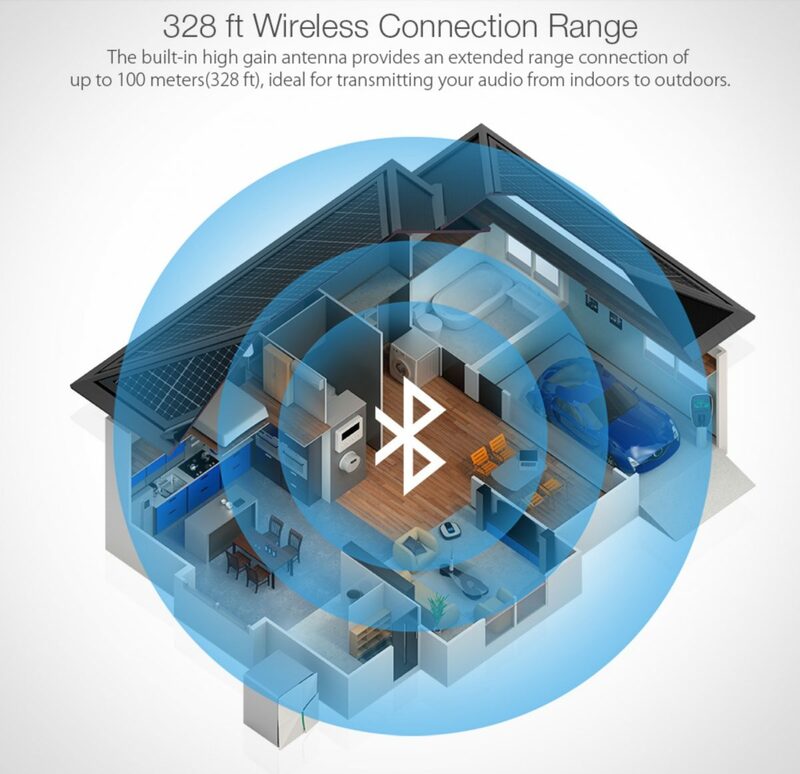 Built-in antenna, up to 100 meters (328 ft) long range and stable transmission to share your audio from indoors to outdoors. 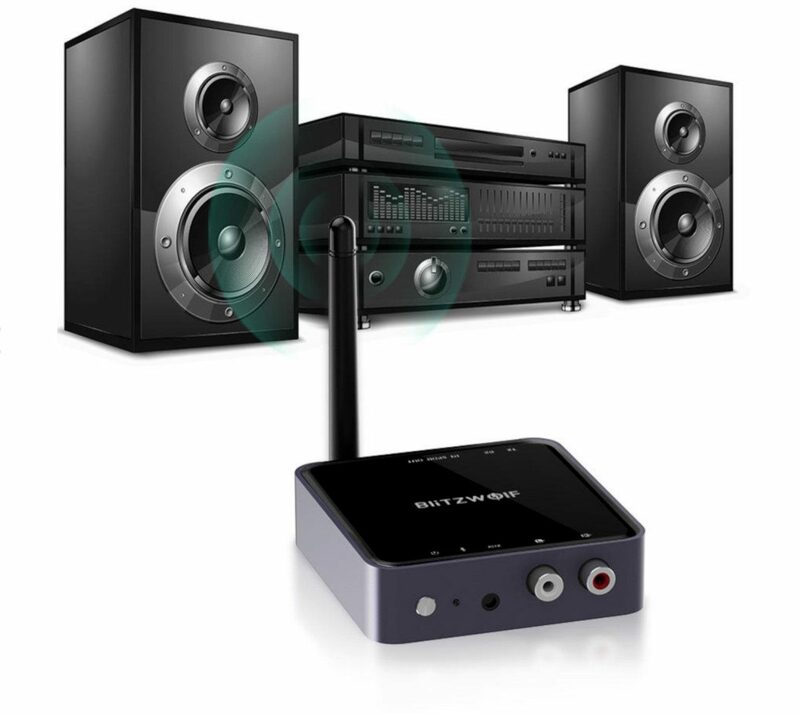 Gives you the option of digital connection to your playback device for maximum audio quality. With a built-in 600mAh battery, you get up to 17 hours working time and 175 hours standby time. With endorsement from Steve Wozniak and funding from Princeton University, Reach Capital, Jaan Tallinn and 500 Startups the Piper Computer Kit definitely comes with an impressive pedigree to recommend it, so I had high expectations for this one. And I’m very pleased to say I was not disappointed. So In my honorary role as the eternal child at Tech Trends, I gleefully rolled up my sleeves and got stuck into building my own Piper Raspberry Pi computer. 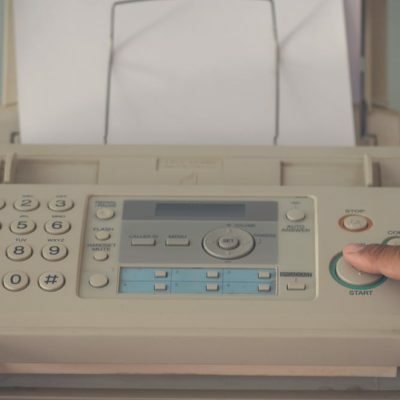 Even for someone used to building awesome toys, this was really something, combining ultra-slick presentation and a very tactile, approachable and play-focused functionality and aesthetics. 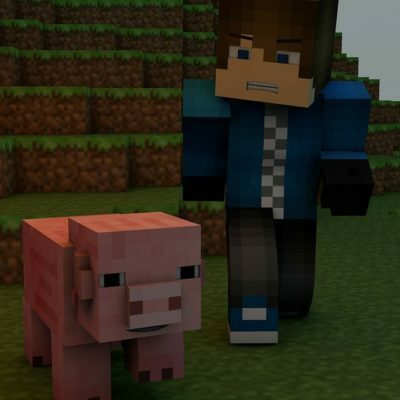 The Minecraft theme also makes it instantly approachable for kids of all ages, even those in their late 30s. The Piper build starts with a Top Secret message giving you a mission to save the world, how could I refuse? So having chosen to accept my mission, I dig into the blueprint instructions, which are amazingly cool, so huge you have to spread them out on the floor before getting started on the build. Fitting together like Lego – definitely a tick in the right box for me – the sturdy wooden case is really fun and the screen, Raspberry PI, battery, speaker and circuit board all connect easily, but things get more techie when you start it up and jump into the mission. 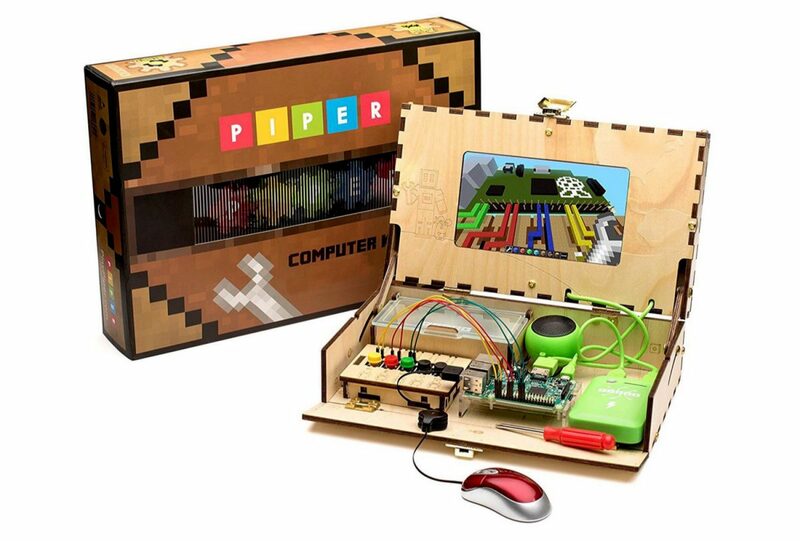 Learning through gameplay and storytelling is not a new idea, but by theming the entire kit around the massively popular Minecraft games Piper instantly gets kids on board, and the building principles of the gameplay work perfectly alongside the engineering, electronics and programming skills the kit introduces as the mission progresses. Overall this is an excellent product as it is, but the Piper team are not exactly resting on their laurels, as they’re constantly expanding and evolving their storylines and adding new games and challenges so be sure to keep your Piper Computer updated when it’s connected to the Internet, as the fun certainly doesn’t end when you complete your first mission. In fact, that’s just the start of your adventure. Get your hands on one for only $249 here with a holiday discount. 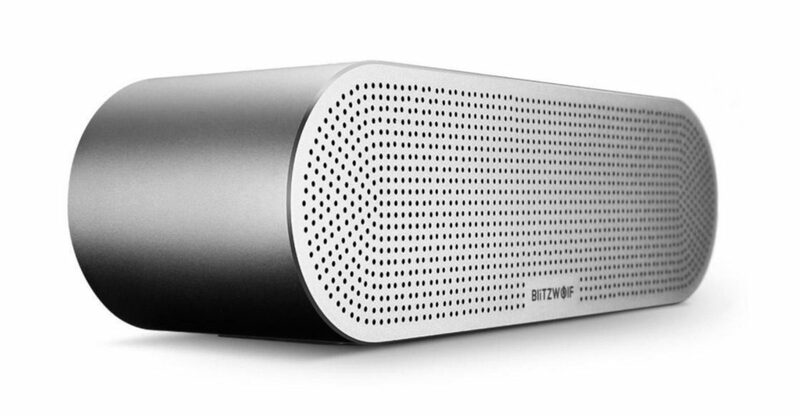 This very smart looking BW-AS1 Bluetooth speaker from BlitzWolf was actually Crowdfunded and launched via Kickstarter this year! 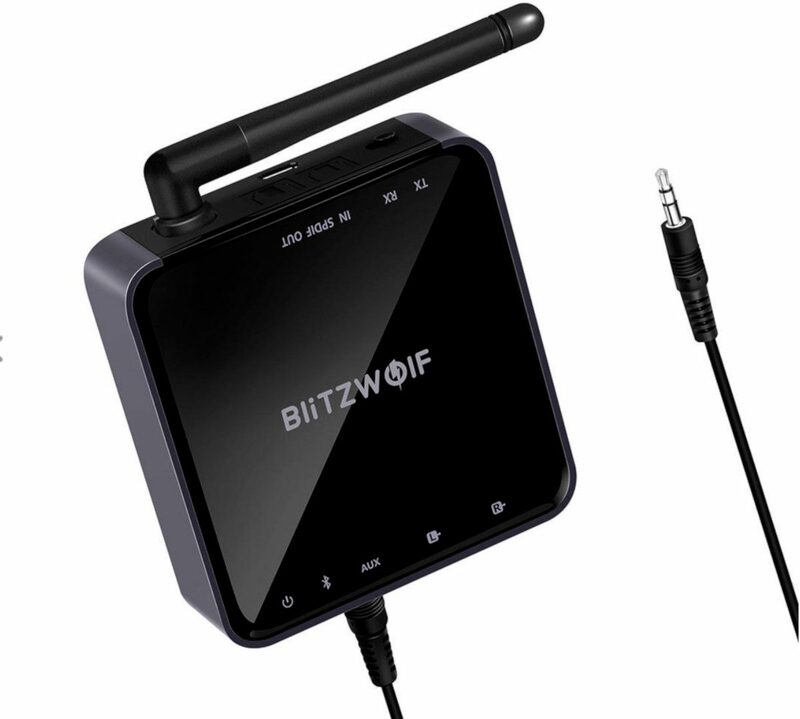 BlitzWolf raised over HK$100,000 in only one month but product development took over a year prior to this. The results are pretty impressive and easily as good as any similar speakers I have tried in this price range. My only complaint is the background hiss my unit exhibits, this might just be a fault with my BW-AS1 but is a bit of an annoyance as the hiss increases along with the volume. I was using a Galaxy S8 so that shouldn’t be the problem. Anyway with the Holiday discount code below you can pick one of these attractive speakers up super cheap this week! The anodized aluminum oxide shell is integrally formed, by following decades of aviation oxidation process, high-pressure shaping, polished. The shell extends down with a graceful smooth curvature, and exquisite matte texture. Cantilever diaphragm, 2 x 45mm 10W high precision big speakers unit, combined with unique cavity body desion and high-fidelity circuit board. All of this as a cornerstone of sound quality. The dual drivers produce clear treble, deep bass, and a balanced midrange. It has tri-band equalization, perfectly balanced high-fidelity making it suitable for all genres of music. 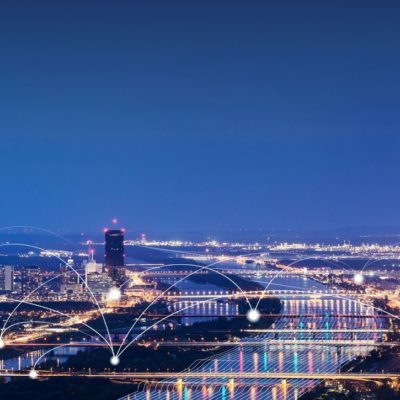 Wide Connectivity :Bluetooth 4.0, better compatibility and consumes less power than previous versions, and more stable when it connect smartphone. By Bluetooth 4.0, the sound signal quality will be more stable and fidelity. More :5200mAh stronger battery, powerful internal lithium battery enable enjoy 7-11 hours of playing time at 70% volume. and only needs 3.5 hours to get BW-AS1 fully topped up. 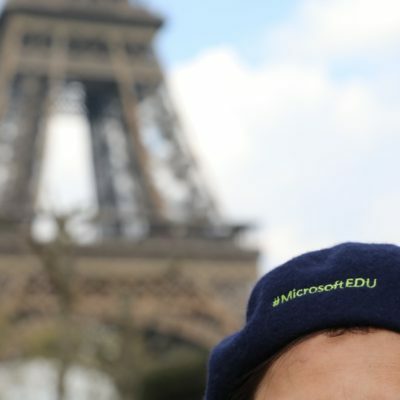 Built-in clear mic : with clear noise isolating microphone, hands-free function seamlessly connects to your phone and offers crystal-clear communication. 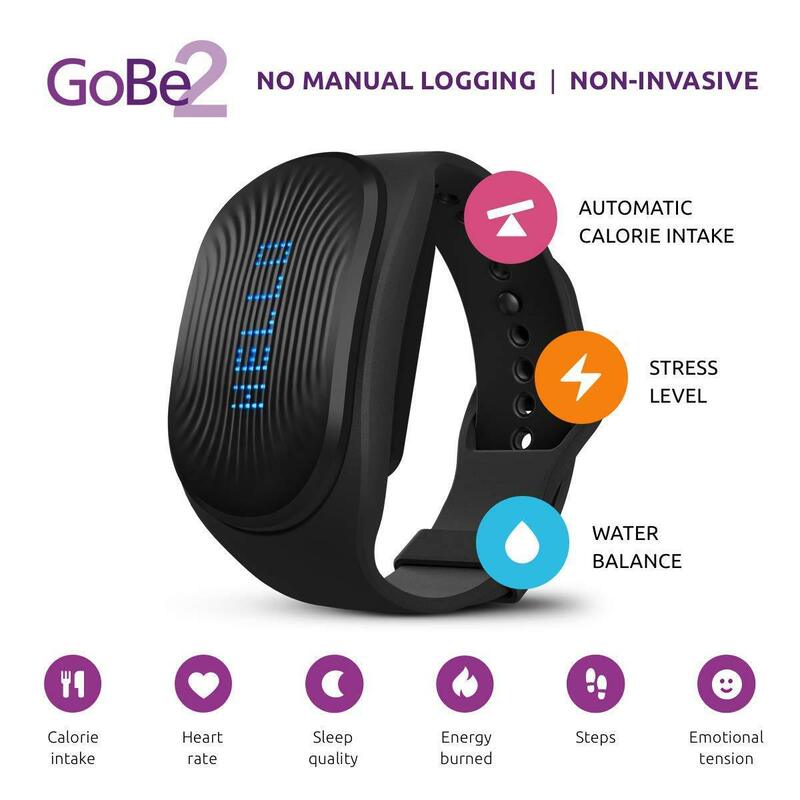 Healbe’s GoBe2 is a cutting-edge wearable that promises to help you get a grip on your day-to-day health and happiness. It has been a surprise to Tech Trends that wearables have been so slow to evolve into a truly indispensable part of our lives. 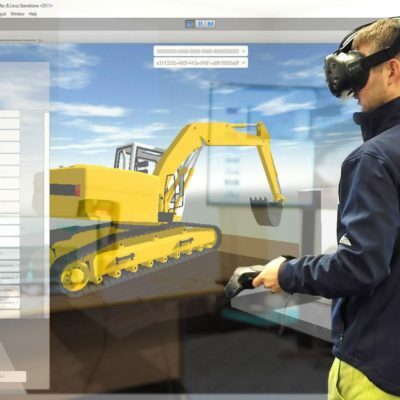 A tidal wave of wearable tech hit stores a few years ago and since then I don’t really see the use case advancing or manufacturers offering us increasingly compelling and original solutions for everyday problems. Not to belittle the health tech implementations of wearable tech, including the GoBe2 tested here, but surely we can do more with modern wearable technology than just help us monitor our fitness? Anyway, rant over and onto the product on test here. Read the full review here. 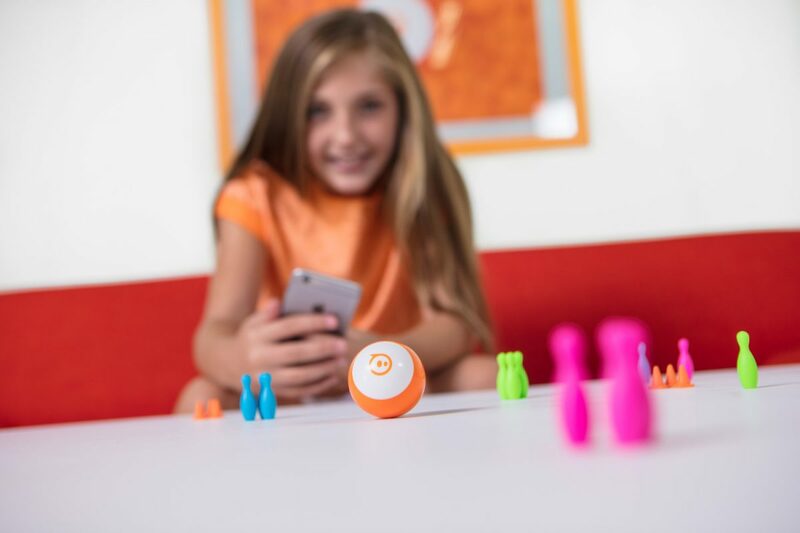 The Sphero Mini follows in the line of the original Sphero, Sprk+ and the popular Sphero BB-8. The new Mini takes much of what its previous models so successful and shrinks it down to a smaller – and more economical – package. Now the size of a snooker ball the Sphero Mini comes in a range of robust-coloured shells which open to reveal its components within (a gyroscope and accelerator). A few fun accessories are also enclosed in the package – including half a dozen colourful mini skittles and some cones so you can layout your own course and steer your Mini through it. Initially, a little slow to charge -especially if you have children eager to play – the app intel is easy to download and boot up and once launched is quick to get going with a colourful simple interface which is very child-friendly and easy to navigate. Packed with teeny tiny tech such as a gyroscope, accelerometer, and LED lights and almost an hour of play time, Sphero Mini is the next big thing. In the app you can choose between a variety of control methods: standard joystick, tilt control, slingshot and face driving – which although may prove fun for younger players is actually quite a frustrating experience. Apart from the standard tech toy drive modes, there are also a few arcade-style games tucked within the app wherein you can use the Sphero as a controller. They’re a fun little distraction but compared to what kids can play on their phones nowadays they won’t amuse them for long. Drive Mini using different modes with the Sphero Mini app, or just by using your lovely mug. This Ball is also a Video Game controller! Use Mini as a controller to shoot your way through space, race through a tunnel, or to destroy a polygon of bricks. Overall the Sphero Mini is a solid reasonably priced tech toy. 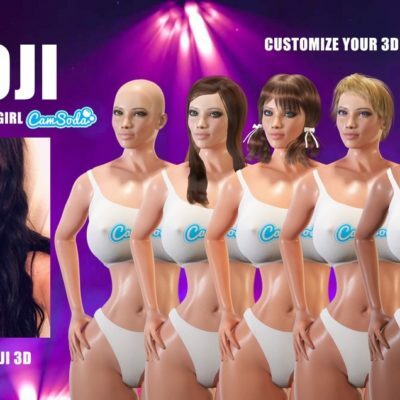 In some ways, it suffers from the general failure of many of the interactive educational bots in that you really have to encourage the child to explore its capabilities or they will just become an expensive remote control car and have a very limited replay value. 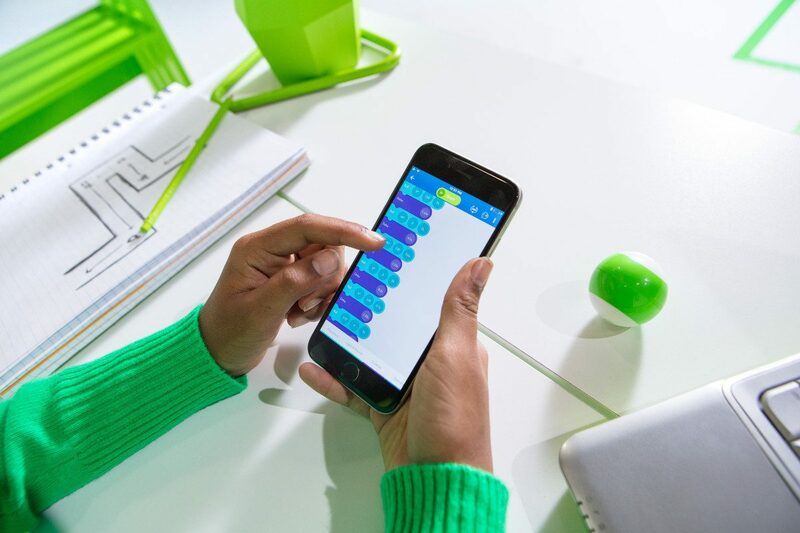 Given proper guidance, however – if you have the patience – they are a great way to encourage a basic grasp of coding. Nokia is back in a big way with a series of very appealing and very affordable smartphones. 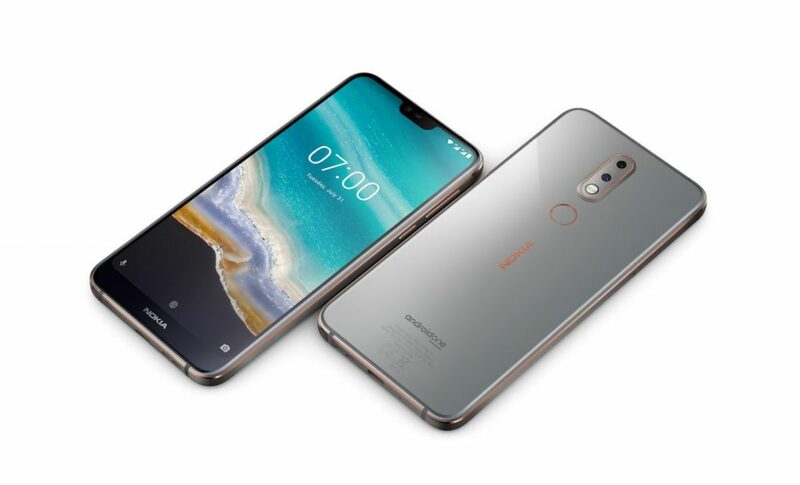 Tech Trends takes a look at the brand new Nokia 7.1 Yes, oh yes indeed, I popped my mobile cherry with Nokia! The Nokia 5210 was my first ever mobile phone. In the early 2000s, I moved to London and needed one of these new-fangled mobile phone things. Lured by its rugged and replaceable plastic shell the Nokia 5210 jumped out at me in a phone shop in Islington. I am absolutely sure I was ripped off but don’t remember what I paid, too much for sure. As far as I remember it did text and calls and a few snake chase type games, nice! Read the full review here. You can’t have enough USB charging ports on your desk, it’s impossible 🙂 The very cool BWS4 50W mains powered high-speed charger is one solution and also an excellent travel companion. It provides six fast charging USB outputs from one mains connection and comes in a variety of standard international plug configurations. Ever wonder why your smartphone charges faster from some charging ports and slower from others? Often, it’s not just the power that your charger can offer. Instead, it comes down to compatibility. Some ports simply don’t speak the right language to open up your device to full speed charging. 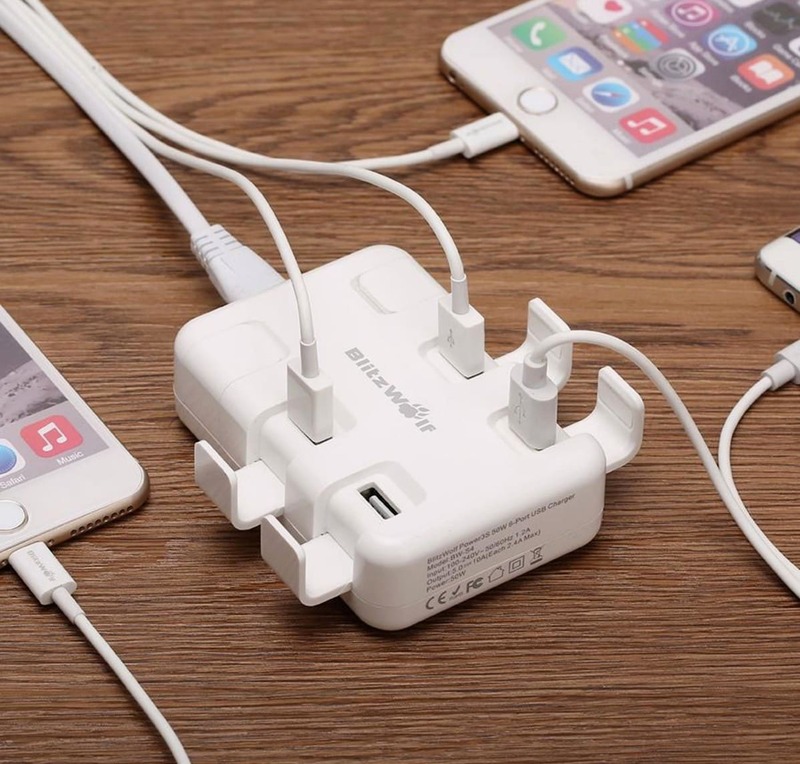 Try plugging an iPhone into an Android adapter, or vice versa, and your charge time could be double so the BWS4 gives you six standard USB outputs, all connected to the same 50W power supply, all pumping out the same high-speed charge. 50W of Power – Enough to full-charge multiple devices simultaneously. 6 Ports Optional – Enough charging ports to handle a family’s worth of gear. 3S Power Technology – High-speed charging of up to 2.4A per port. Safe charging and multi-channel protection. Portable & Convenient – Creative two-side holder design, provides convenient charging. 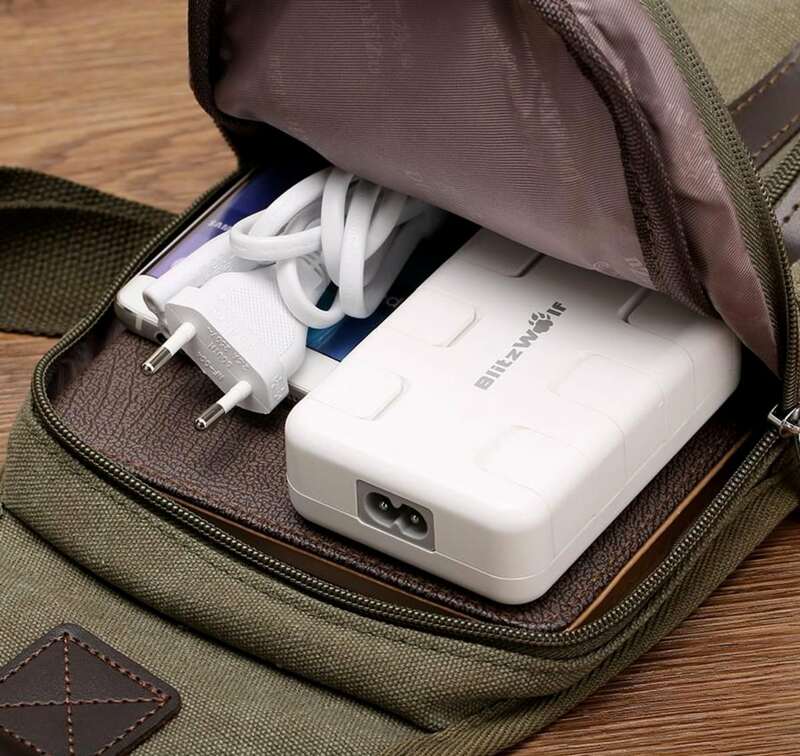 Compact and light design, ideal for home, work, holidays and wherever else you may go.